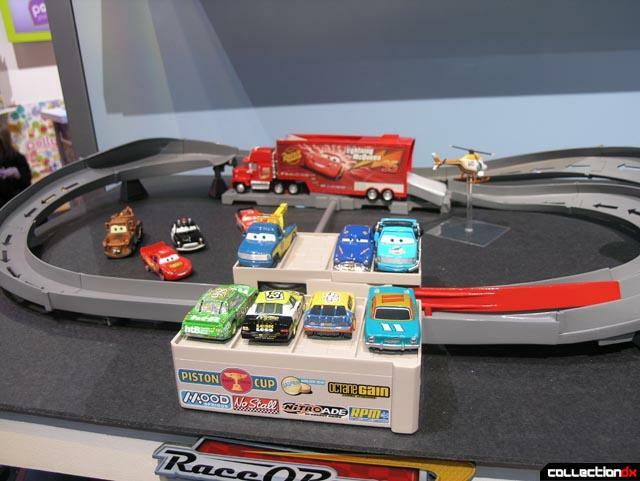 I admit, I have a soft spot for Pixar stuff, and you can blame that one on my kids. 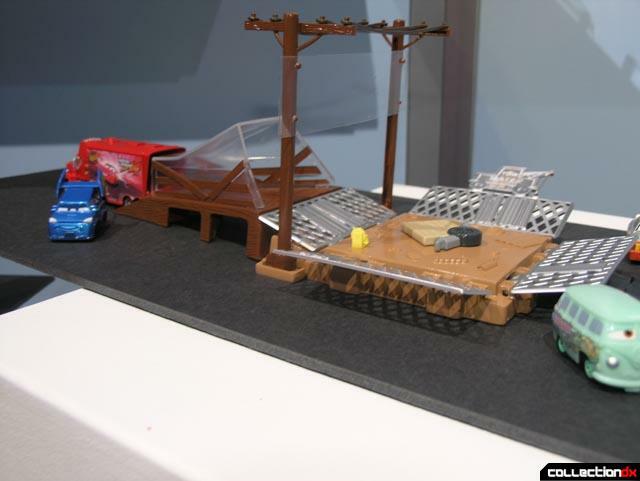 Both CARS and TOY STORY are phenomenal movies, and I am glad to see toy lines for both. 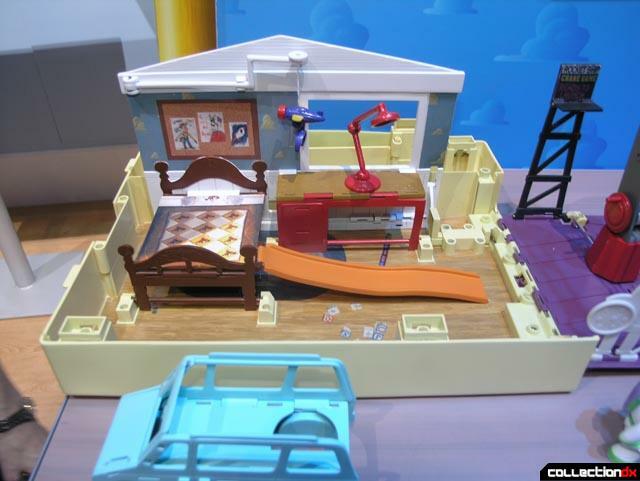 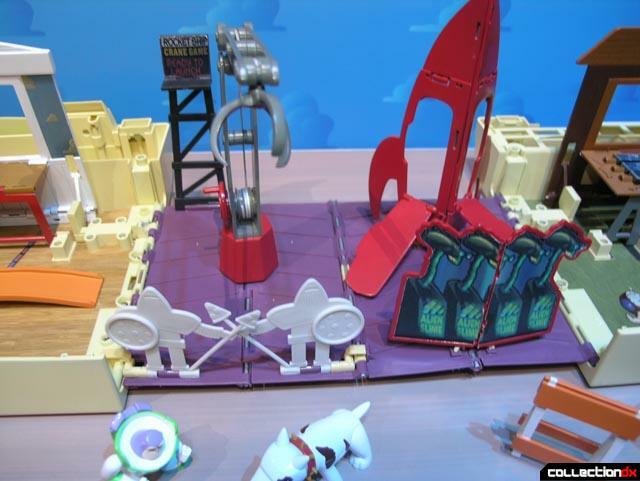 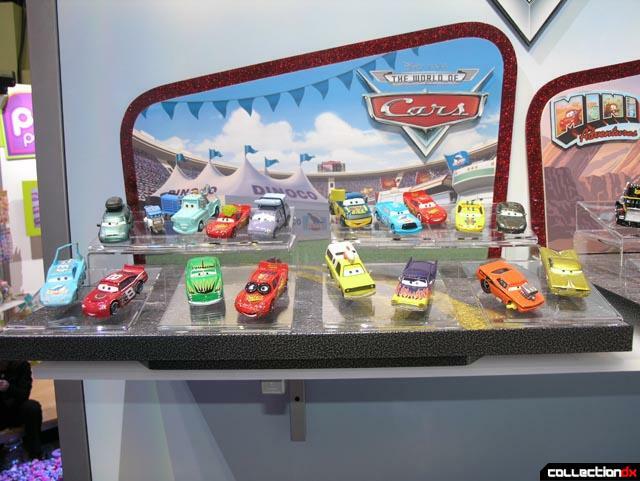 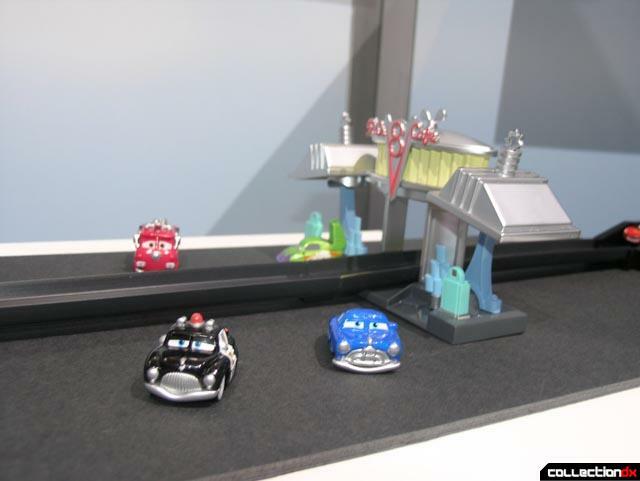 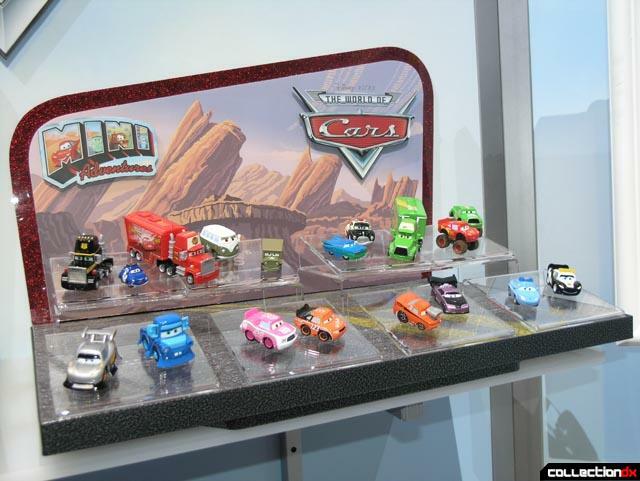 Cars continues to pump out the variants of Lightning McQueen and friends, and now has a cool new playset that replicates his escape from Radiator city. 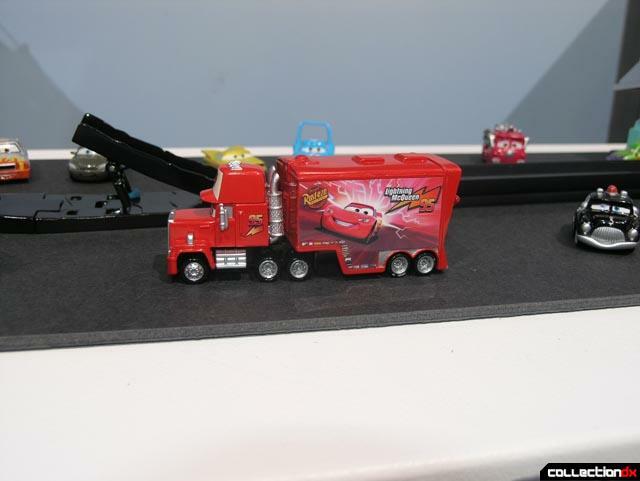 It looks like a lot of fun, but unfortunately, I didn't get it on video. 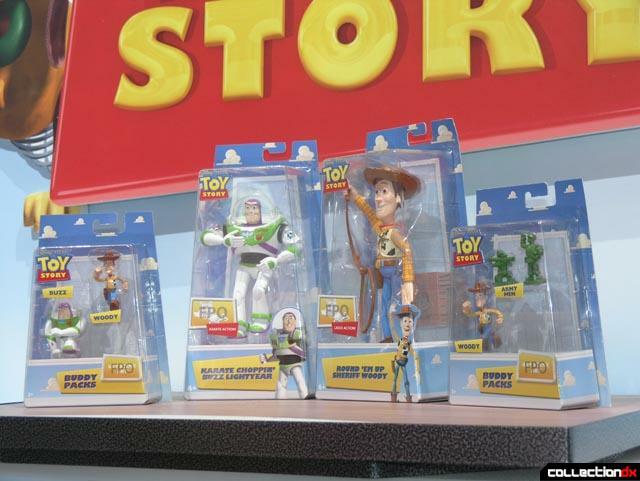 Toy Story is back at Mattel, and they are coming out with some anniversary figures to commerate a special re-release in theatres (in 3D i think). 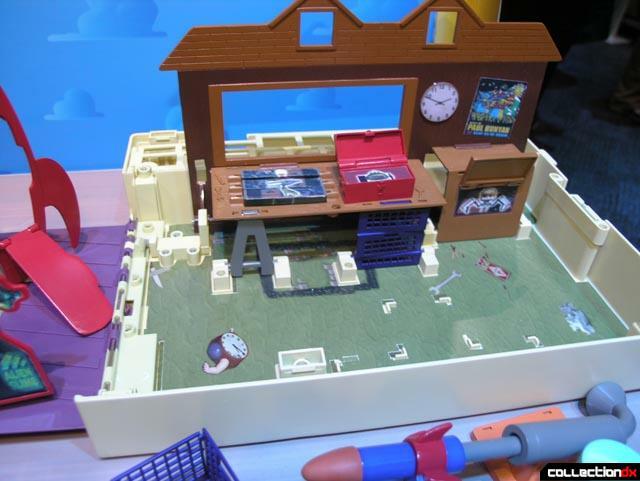 The figures were fine, but the real awesome thing was this fold out playset that recreates three scenes in the movie. 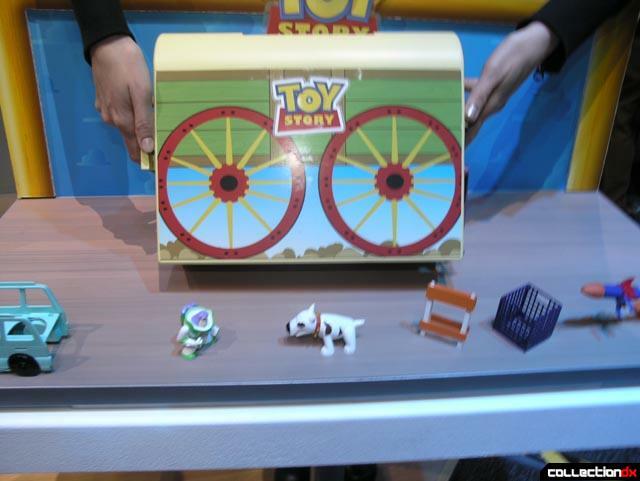 The whole thing folds up into Andy's Toybox. 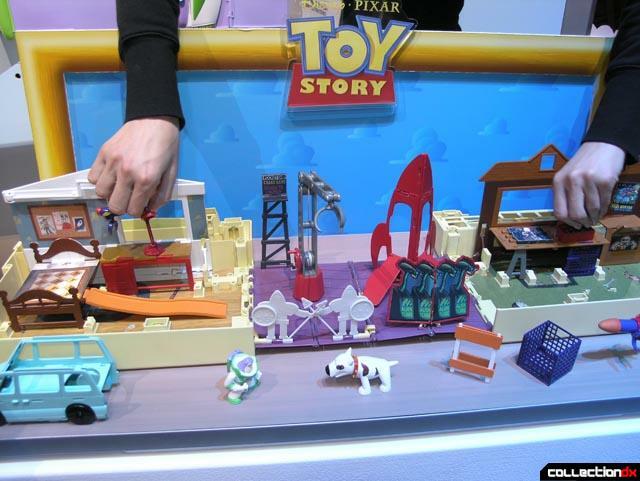 Fantastic toy engineering on this one.